The Parent Council is made up of representatives of the Parent Forum (all of the parents and carers of the pupils attending the school or nursery). There can be up to two representatives for each nursery and school class and each representative is called a Class Rep. Parent Council Register 2017-2018. The Head Teacher of the school also attends the meetings as does one or more representatives of the teaching staff. What is the aim of our Parent Council? To develop an open, welcoming and mutually supportive school community of pupils, Parent Forum and staff. ● It represents the views of parents to the school and works with the school to resolve any problems. ● It reports back to the Parent Forum by way of Parent Forum News. ● It represents the view of the Parent Forum at external meetings on issues relevant to the school. ● It provides representatives to sit on interview panels for Head and Depute Head Teacher vacancies. ● It meets every month to discuss issues that arise and to listen to reports from the Head Teacher and sub-committees. ● It supports the school in its work with pupils in various ways including six sub-committees that meet separately from the Parent Council and report back at each meeting. These sub-committees are Fundraising, Parent Forum Volunteers, Healthy Living/School Environment, Communications, Quality and Library. When does our Parent Council meet? We meet once a month during the school year at 7.00pm in the school library. 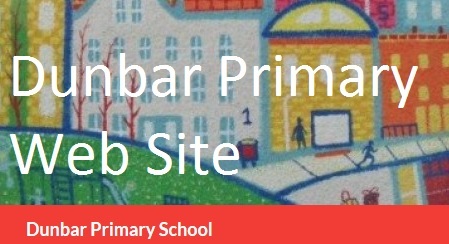 Meeting dates and agendas are sent to Parent Council Members by email and are also available on the Parent Council website https://www.edubuzz.org/dunbarprimaryparents/. Minutes of the meetings are circulated by email and can also be found on the website and in the Parent Council folder in the school foyer. What else can you do to support the School? ● Become a member of one of the Sub-Committees: Fundraising, Parent Forum Volunteers, Healthy Living/School Environment, Communications, Quality and Library. Contact your Class Rep or the Chair for more information. ● Help out in the nursery or school (e.g. nursery helper, paired reading, library support, healthy snack). Contact the school office for more information. ● Organise or help out with children’s events such as the School Fair in June. Contact your Class Rep.
● Organise or help out with fundraising events such as the School Calendar, Nursery Toy Sale, Christmas Cards, Ladies Night and Read-A-Thon. Any ideas for new fundraising ideas are always welcome and the money raised is spent on supporting the school in educating our children. Contact your Class Rep.
● Help and support the Dunbar Primary School Parent Council (e.g. offering your specialist skills like web/graphics design, accounting, general IT, applying for grants, putting posters up, selling tickets for events etc). Contact your Class Rep.